Alakazam is helping to organise a fund raising event to aid victims of the disaster in Japan. 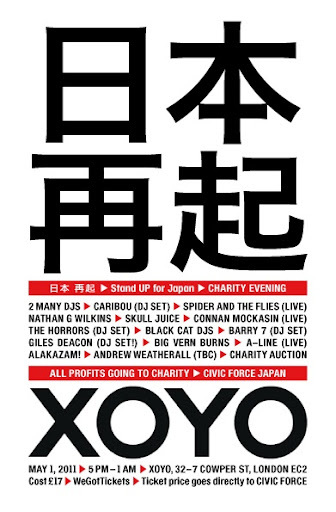 On Sunday May 1st at London's XOYO we'll be holding a fantastic night of music + an art auction, with all profit going to Civic Force, a Japanese charity that provides shelter and assistance to people who have had their lives turned upside down by the unprecedented events of 11th March. The line up on the music side features some of our favourite artistes & DJ's. On the art side, many ALKZM contributors will be donating original art & prints for the auction. Be quick to get your tickets soon as it's sure to be a sellout!